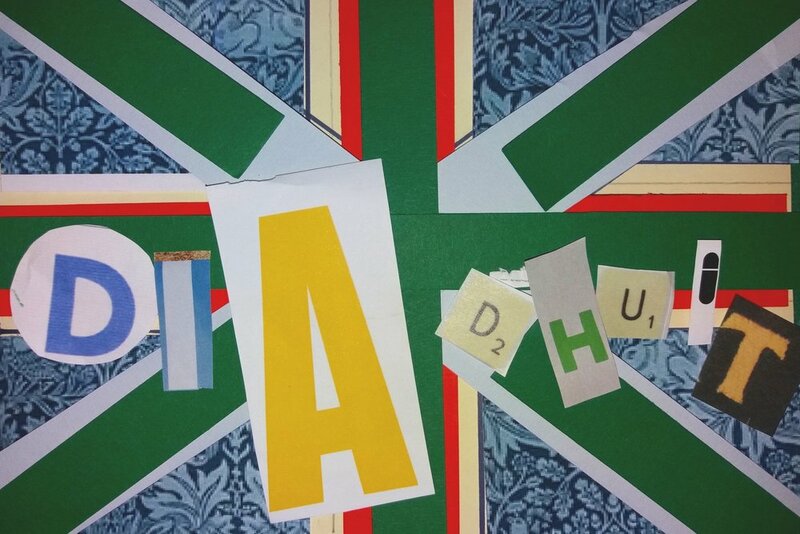 Create a flag that expresses your British identity. Get crafty with collage and word play, then wave your flag high or decorate the Barbican Centre with it. A family workshop for all ages . No skill required , just bring your self and create your Brit’ish’ flag. We have been invited by The Barbican to The Open fest 2019. The festival has mostly adult centric workshops. Red, white and blue is created so that all ages can join the day’s festivities. Collage textiles and cut out type to scribe a ‘welcome’ or ‘hello’ in your language. We are looking forward to seeing your story of Britishness unfold during the day. We are part of Immersive events, Interactive experiences on the Open Fest website. Highlights of the performances, shows and activities throughout the day will be the chance to see brand new work from hip-hop dance group Boy Blue and Ivor Novello award winner, Nitin Sawhney with the National Youth Orchestra of Great Britain - all for free.art and experiences through out the day questioning. Open Fest is Supported by Sky Arts: Art50. Delivered in partnership with the Barbican Centre, Sage Gateshead and BALTIC Centre for Contemporary Art.